Since 1979, Abilities Expo has worked to enhance the lives of people with disabilities by bringing together thousands of the latest products and services, informative workshops and fun, adaptive activities together under one roof in different cities across the country. This weekend, December 4-6, the #1 event for the community comes to the Washington, DC Metropolitan Area for the first time. Thousands of people disabilities, their families, caregivers, seniors, veteran and healthcare professionals are expected to attend this must-see, free Expo. 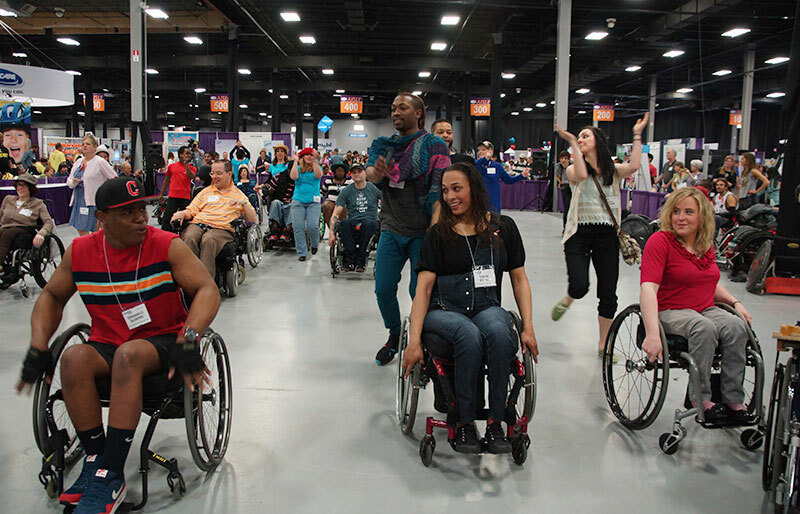 At the Dulles Expo Center in Chantilly, Virginia, the DC Metro Abilities Expo will feature an impressive line-up of exhibits, workshops, events, celebrities and activities to appeal to people of all ages with the full spectrum of disabilities—including physical, learning, developmental and sensory disabilities. What Can the Mid-Atlantic Disability Community Expect from the Expo? First and foremost, they should look for the newest, life-enhancing, game-changing products and services for people with disabilities. There will be more than 100 companies and organizations with mobility products, devices for people with developmental disabilities, medical equipment, home accessories, essential services, low-cost daily living aids, products for people with sensory impairments and much more. 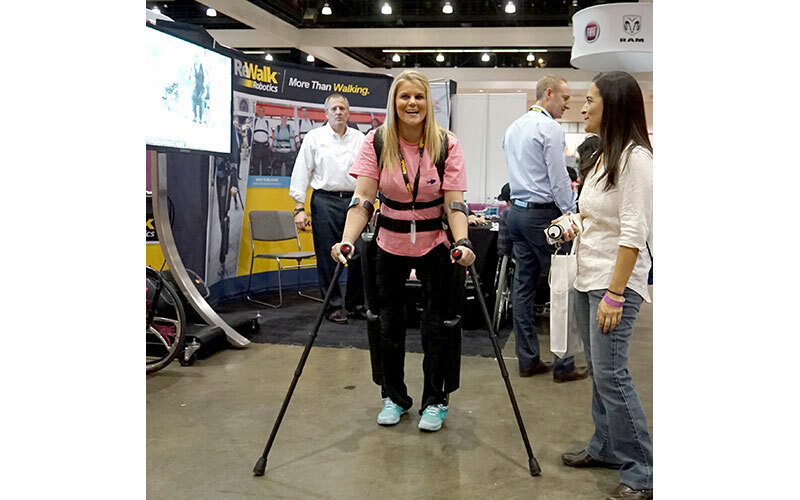 For example, ReWalk Robotics will showcase its bionic exoskeleton, an ingenious device that provides powered hip and knee motion to enable someone with paraplegia to not just stand upright, but also walk and turn. 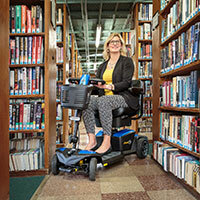 Quantum's latest iLevel tech will raise a powerchair rider to eye-level faster and more safely. And have you seen the new-this-year MXV mobility crossover vehicle from BraunAbility? It will be on display and we're pretty sure it will look great on you. And if it is smaller-ticket daily living aides that you are looking for, there will also be a host of low-cost retail products, proving that it doesn't have to break the bank to be just the thing to help you overcome day-to-day challenges. Experts in their fields will bring you a series of info-packed workshops designed to impart knowledge that is relevant and immediately useful to the community. Sessions will focus on travel, technology, advocacy issues, choosing the right accessible vehicle, physical therapy, service dogs and parenting a child with special needs. On December 6, the Christopher and Dana Reeves Foundation will host Caregiver Day with three special sessions geared for the loved ones who give so much. These workshops offer yoga and meditation techniques, self-care practices as well as sage advice on how to prevent burn out. It wouldn't be Abilities Expo without our signature adaptive, interactive activity schedule! It's good times for all ages and levels of abilities not to mention a wonderful compliment to the exhibits. 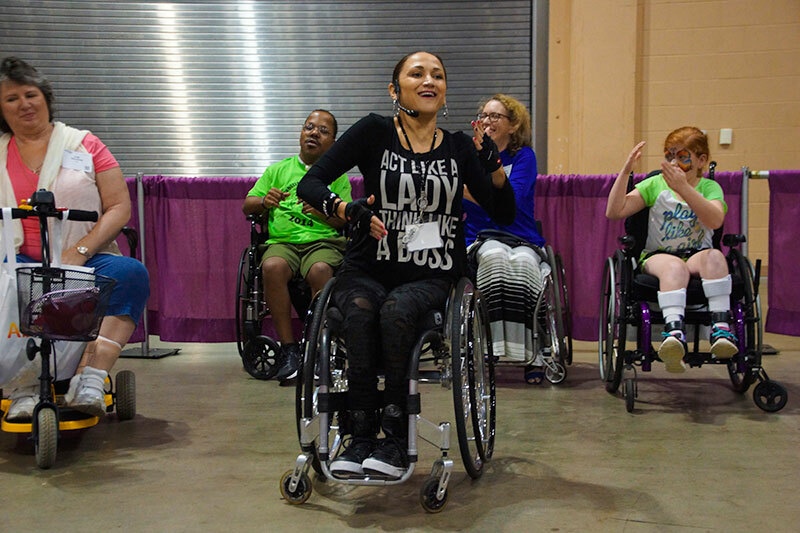 There will be wheelchair dancing led by our charismatic dancebassador Auti Angel, who recently starred in the hit reality show Push Girls. There will be adaptive sports like quad rugby, tennis, power soccer and rowing to encourage you to get off the sidelines and into the game! There will be assistance dog demos to show how these clever canines can increase the independence of their human partners. And don't forget adaptive gaming. Test drive accessible controls which level the virtual playing field for people with disabilities. 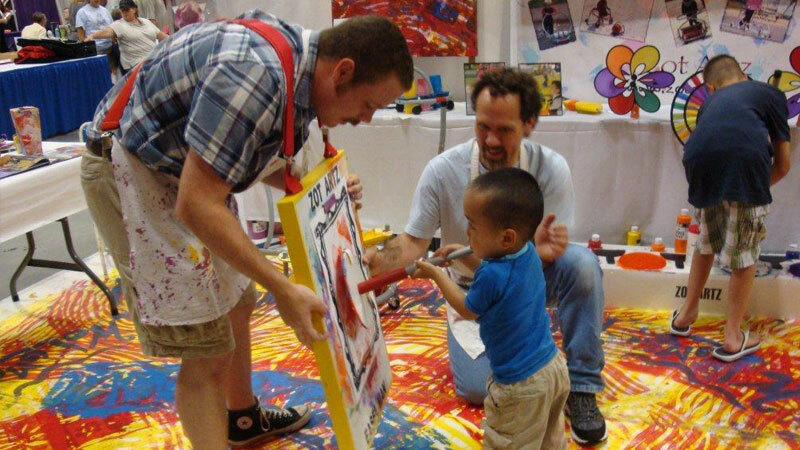 Fan-favorite Zot Artz will be onsite helping kids of all abilities to express their inner artist using special tools. They can even take their masterpieces home. And for those more inclined towards art appreciation, there will be an Artist Market featuring the works of talented, local artists with disabilities. The Ride-Along Race Experience course will give would-be athletes with disabilities an opportunity to try endurance sports like racing. "Riders" navigate from their wheelchairs, "runners" push from behind and everybody wins. And if that wasn't enough, there will also be yoga, adaptive fitness, criptaedo self-defense and complimentary makeovers. Abilities Expo DC Metro is this weekend and we can't wait to bring all of these exciting products, workshops and activities to the local disability community! For those traveling by Metro, there will be a free shuttle from the Vienna/Fairfax-GMU station to the Dulles Expo Center. For your convenience, you can pre-register online before you come to the show.